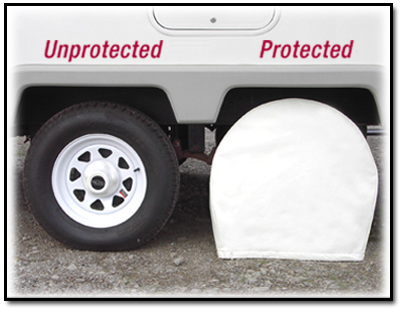 Protect your motorhome's and trailer's tires from wind, rain and sun and avoid dried out, weathered, pre-aged tires with tire sunshades. Available in styles to fit most tire sizes. let us know the size/brand you need. We may be able to add it to our list of available product.